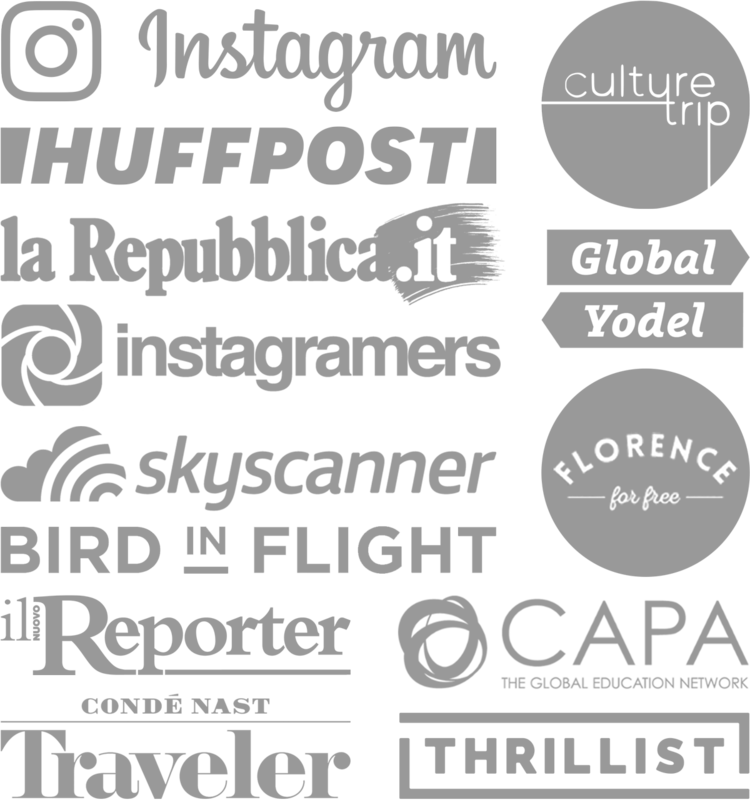 For those in Italy, you may have noticed that we skipped July—as the weather plummeted down to chills and rain—and went right to October. August is not showing much of a difference. HOWEVER, there is sun today! So, where there is summer sun there is a granita ready to be eaten. Last night I had a dinner party at my house where my friends, husband and I all cooked up a storm. My girlfriend, Nadia, brought over a tub of cut up watermelons (plus, half her kitchen!). I absolutely love watermelons and recently made a salad with it for lunch where I threw in some feta cheese for a nice interesting balance. 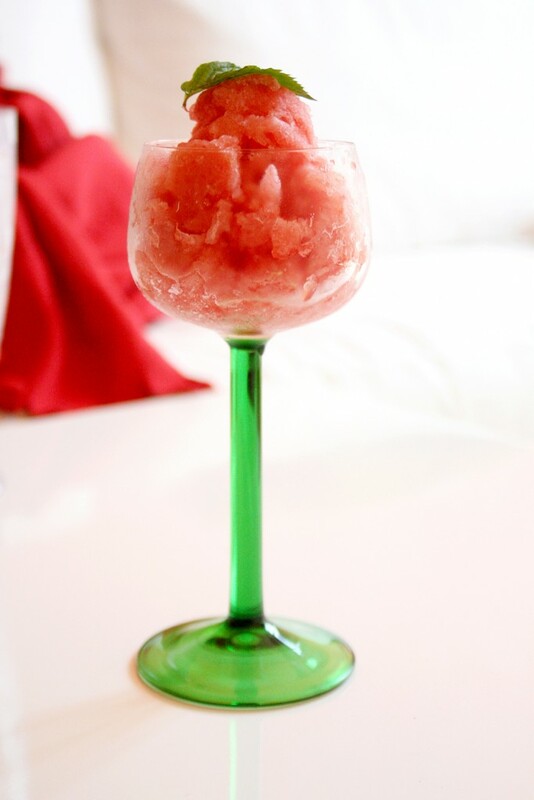 Besides drinking Prosecco with watermelon juice, another fun way to enjoy watermelon this summer is by making a watermelon granita. 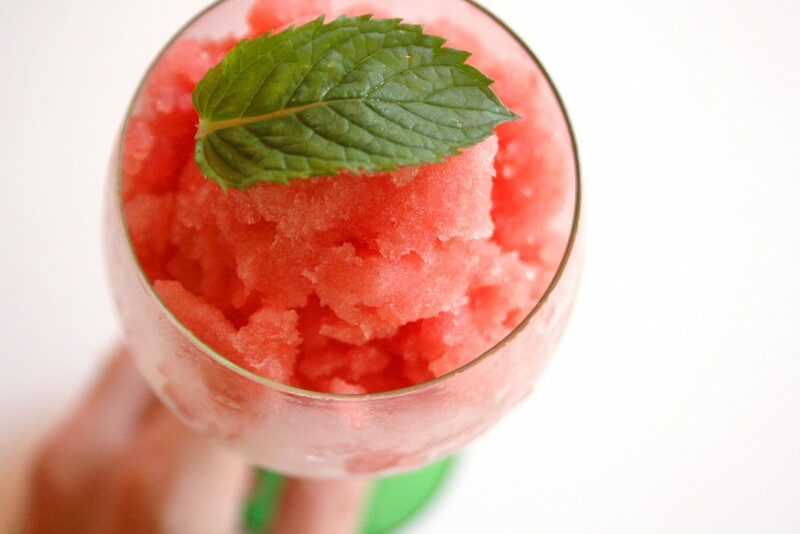 Granita is a Sicilian slushy. Some add fruit or nuts with water and sugar. Typically, you blend all the ingredients in a food processor, let is freeze in a pan, scrape it into a bowl with a fork and let if freeze again…and add lemon. Here’s a typical recipe. What did I do? I blended the hell out of the frozen watermelon without adding sugar or water and poured it in a pretty little glass. Mint leaf on top. Done. P.S. 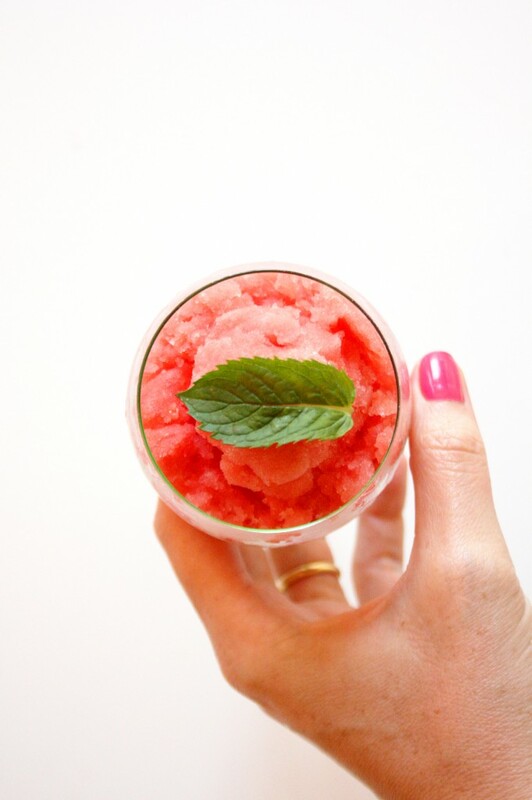 A nice, cool watermelon granita is a great hangover cure from those dinner parties. What’s your favorite granita? I also love almond granita! Pin those pics and share this tasty post!